I’ve already talked a bit about what grounding is, and what types of grounding are most common. What I haven’t really talked about yet are ground faults and ground fault protection. While specific details will depend on the type of grounding that your system uses, some general principles can be applied to most systems. This certainly caused a ground fault! A fault can be defined as any time electric current in a circuit is going somewhere that it shouldn’t be. You can have faults anywhere in your system. For example, if electricity is arcing from one power line to another, that’s a line-to-line fault. Faults caused by inclement weather. If a tree falls over in a storm and rests on power lines, you’ve now got a path from the lines through the tree to the ground. Reduced insulation from age. If a cable is old and has been in use for a while, the heat from current passing through it could break down the insulation. Reduced insulation from other sources. This could include moisture from high humidity or physical stress placed on power lines when they collect ice in the winter. Excessive overvoltages can also cause faults. You’ll remember in my article about different types of grounding systems, ungrounded systems had unnecessarily high overvoltages. This means that if you don’t immediately clear the first fault, more faults could quickly develop! Stress from all this ice could definitely cause a fault. How can I protect against faults? The goal whenever you have a fault is to clear it (isolate the part of the circuit with the fault so that there is no power going through that particular line). In order to clear a fault, you first have to determine whether or not you have a fault, and then you have to determine where the fault came from. 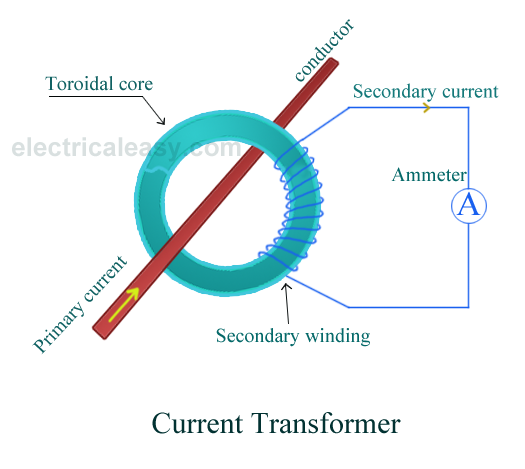 To determine whether or not you have a fault, you can use a current transformer (CT). A CT is hooked up to a meter that gives a reading based on how much current is flowing through the primary side of the transformer: 5A of current in your CT might mean that you have 500A of current flowing through your ground line. So as soon as you have a fault, the meters hooked up to your CT will let you know that your ground line is getting current when it really shouldn’t be. You want to have multiple CTs attached to different points in your circuit. For example, most if not all substations in your electrical power grid will have CTs and PTs (potential transformers that measure voltage differentials) so that if anything goes wrong on the grid, the power company can isolate the problem right away. Once you know that you have a ground fault, you’ve got to clear it. You can do this by using a selection of relays, circuit breakers, and fuses. A relay is a device with adjustable settings that is used to determine whether or not to trip (open) a circuit breaker. Because the relay is the device that makes the decision of whether or not to cut the power to a portion of thecircuit, it must be able to activate blindingly fast, on the order of milliseconds. This is to make sure that when a fault occurs, the section of the circuit with the fault is isolated as soon as possible to prevent harm to people and damage to equipment. A circuit breaker is a pathway that is mechanically forced open when too much current passes through it. A fuse is essentially a wire that is designed to be destroyed when a certain amount of current passes through it. The difference between a fuse and a circuit breaker is that when a fuse is activated, it is destroyed and has to be replaced. When a circuit breaker is activated, it can be re-set by physically closing it again. Circuit breakers. Unlike fuses, you can see that these can be switched open or closed. A fuse. 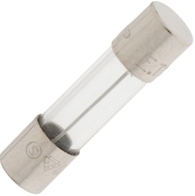 Although this one is small, the operating principle is the same for larger fuses. 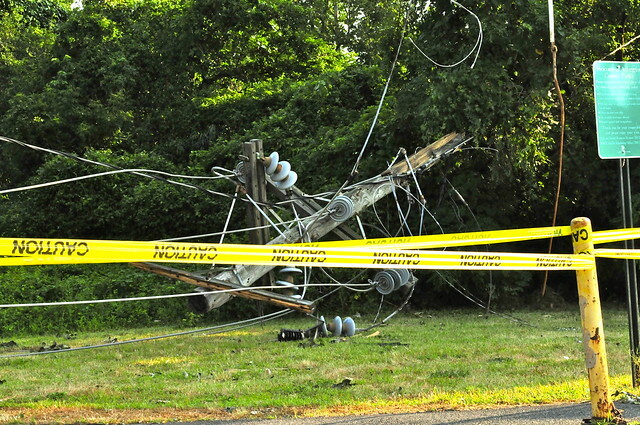 In a typical scenario, a CT or PT senses current or voltage along one of your power lines. If there is a fault and the current or voltage level increases to an unacceptable amount, the relay opens the circuit breaker and isolates the area of the circuit. There may also be fuses somewhere in the system that will burn out and instantly open the circuit if too much current passes through them. A GFCI. You should be able to find these just about anywhere, from homes to businesses to schools. relays should be connected in a network. If one relay trips a breaker, it should be sending a signal to all relays closer to the source, telling them not to trip because the fault has been taken care of. This is another reason that relays need to be fast: if your devices don’t work fast enough, you might end up with multiple relays unnecessarily tripping circuit breakers. Unwanted circuit shutdowns cost time and money to fix. You can even observe ground fault protection in your home: if you live in a newer home, you should have some ground fault circuit interrupters (GFCIs) installed at your power outlets. 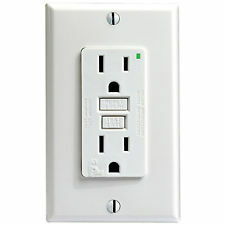 These also monitor for current imbalances and will shut off the power to that outlet if it detects a fault. A ground fault is an unwanted electrical connection between a line and the ground. It can be caused by insulation breakdown, bad weather, or physical stress. You can protect against faults using protective devices, including CTs, PTs, relays, circuit breakers, and fuses. If you liked this, check out our newsletter! Get the great stuff in your inbox and level up your electrical engineering knowledge!